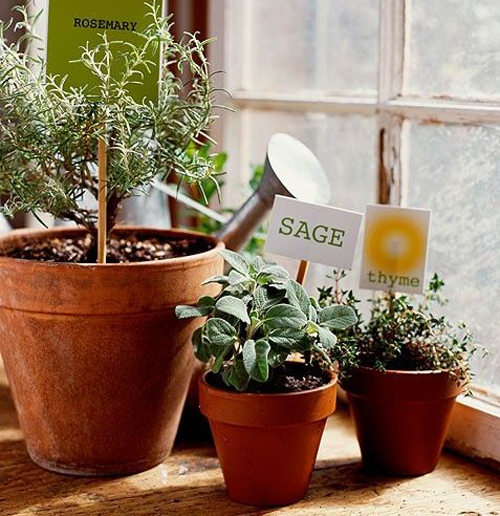 Ever think about potting some Sage? 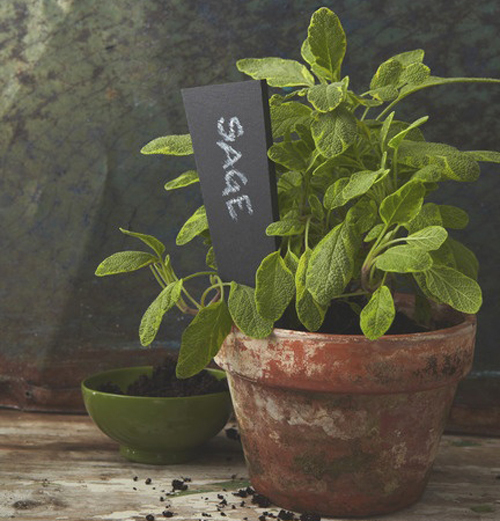 You may have tried basil, chives, rosemary, thyme but Sage is a wonderful choice for those who like to cook. Although sage is available both fresh and dried, we recommend using fresh. Dried sage has a stronger more concentrated flavor that can sometimes be bitter. If you are flavoring a soup, stew or pot of beans then dried is acceptable. But, if you really want the sage flavor to shine you have to use fresh leaves. When looking for foods to pair with sage, think rich, starchy and sweet. Great with pork, potatoes, beans, grains, bread (think stuffing) and is fantastic on turkey, & pumpkin. Try it with roasted apples & pears. Yummy! When potting sage think of lots of sunshine and well draining soil. Use a garden pot with a drain hole because you don't want standing water on the roots. 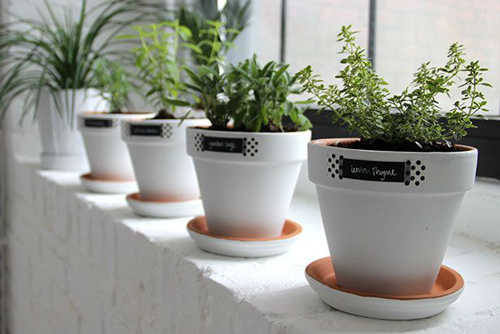 Place your pots in a kitchen window so they are close at hand while cooking or next to a kitchen back door so you can step out in all weather and clip off a few sprigs. Harvest individual leaves or springs several inches long. Rinse them to remove dust and gently blot with a kitchen towel. Keep it dry because moisture will deteriorate it quickly. It keeps in the refrigerator wrapped in paper towel for 2 to 3 days. Lastly, if you haven't had fresh sage in the kitchen you are missing out on some great smells. 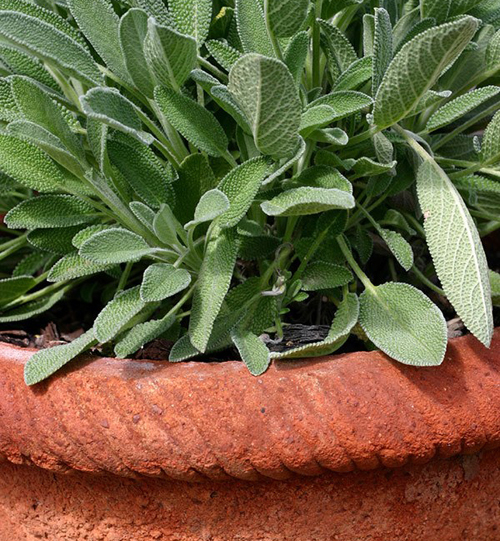 A small terracotta pot filled with sage is perfect on a center isle or in the window. You don't need much but it's well worth the effort. [Read More] Drought Tolerant Potted Annuals.